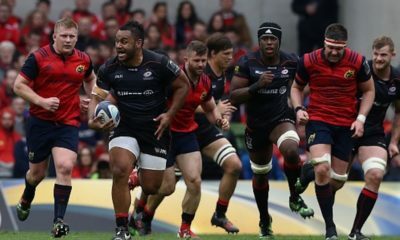 The dramatic draw against Scotland in the final game of the 2019 Six Nations rather summed up England’s campaign – loads of tries, a brilliant start, and then a disappointing second half. 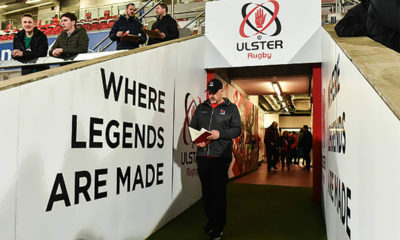 When Eddie Jones’ side visited majority favorites Ireland back at the start of February, and departed with a bonus point victory, there was a confidence among England fans that no one could beat them. Fast forward to the 75th minute of the Scotland game and those same English fans are watching their side hurtle towards a second defeat of the tournament, against a team second-bottom of the table. 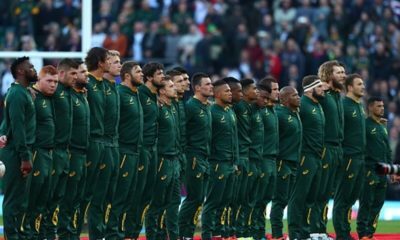 It took a George Ford overtime try to prevent one of the most sensational slip-ups of recent times, and spared the blushes of England players, fans and head coach Jones. 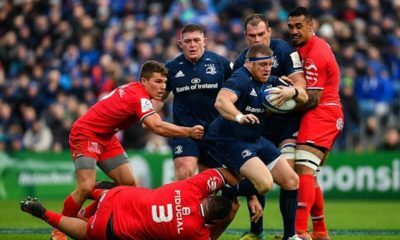 England’s Six Nations campaign got off to cracking start at the Aviva Stadium in Dublin – a venue where they had previously failed to win at in six years. Last years Grand Slam champions were left stunned as England ran in four tries to claim a 32-20 victory. 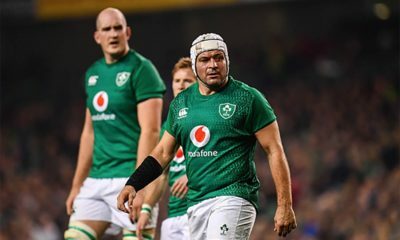 Joe Schmidt’s side were dissected by England’s pacey and intelligent backline, with two-try hero Henry Slade starring at centre. 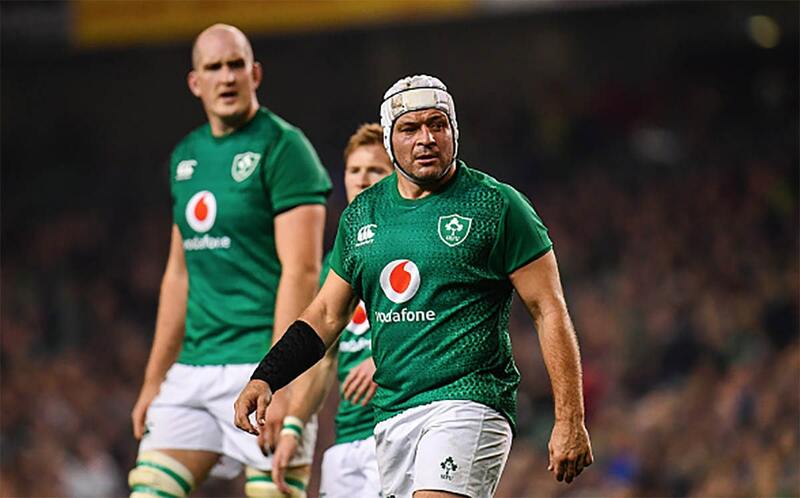 Jonny May and Elliot Daly both scored as Ireland capitulated under England’s relentless kicking game – Daly’s try came courtesy of Jacob Stockdale fumbling the fullbacks kick. 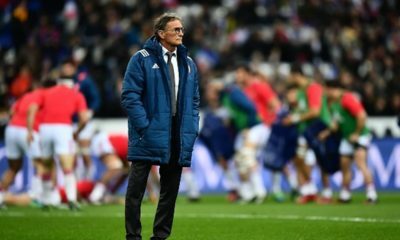 The only setback for England was the loss of the influential Maro Itoje to injury. 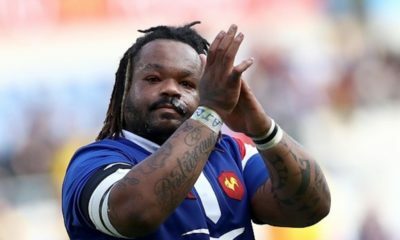 Itoje wouldn’t feature again for England in the competition. 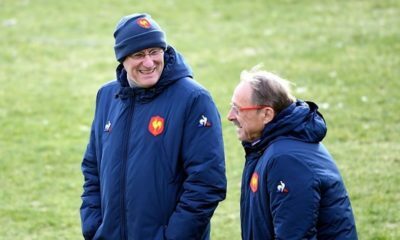 England’s attack carried it’s scintillating form back to Twickenham, as Jones’ men ripped a woeful France side to shreds. 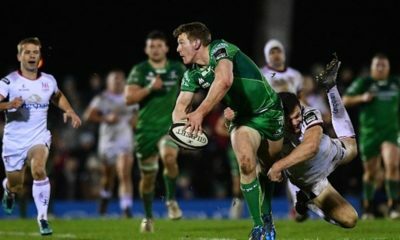 May scored a hat-trick of tries in the same corner before the half hour mark, before Slade bagged his third score in two games before halftime. A penalty try followed as France disintegrated after the break, before Owen Farrell crossed for England’s 10th try of the competition already. 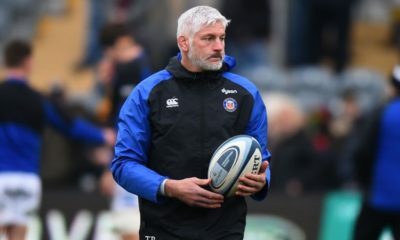 The intensity dropped as Jones introduced his ‘finishers’, but the head coach will be happy his side were clinical enough to see the game out – but that would become an issue in weeks to come. As England slumped to defeat in Cardiff, it seemed all the good work from the first two games had been undone. As the game approached the interval, with England leading 10-3 thanks to Tom Curry’s first international try, there was a sense that Jones’ men would rumble on to a third consecutive victory. But what happened just before the break typified the deep-lying mental issues this England side is plagued with. 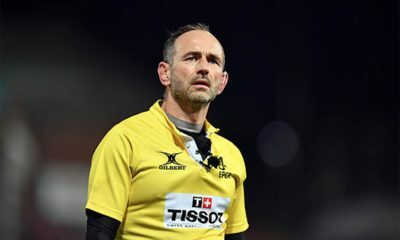 A 12-man maul was threatening to reach the Welsh line, but the ball was slung out to Farrell, who opted for a cross-kick which was ultimately ineffective. There was acres of space for the England backs outside Farrell, and it was a uncharacteristically reckless decision to go to the boot. Another try before halftime would’ve put Wales at arms length; instead, they were right in the game. 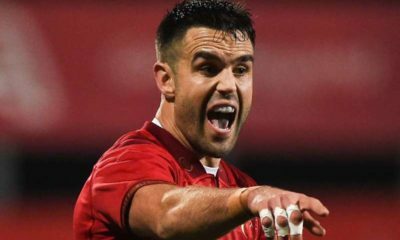 A Warren Gatland masterclass ensued in the second period, with Dan Biggar coming off the bench to orchestrate wave after wave of Welsh attack, as England were starved of possession. Cory Hill and Josh Adams both went over for Wales as England’s defence finally succumbed to the endless pressure, completing a memorable turnaround. 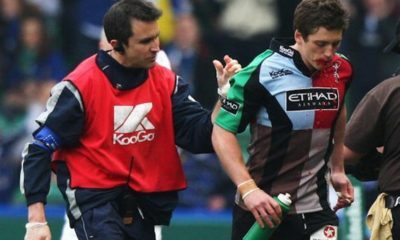 This result abruptly ended English Grand Slam hopes, and reiterated their inability to retain leads in big games. 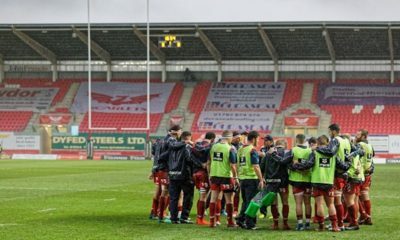 This result put half-hearted smiles back on English faces, but there was still a lingering hangover from the defeat at the Millenium Stadium. 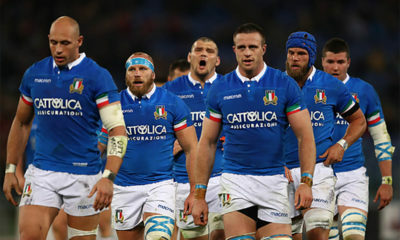 There was an element of anger in Englands play, as they took the frustration of the Welsh loss out on a sorry Italian side. Jones’ men ran in eight tries in a largely entertaining game, with Manu Tuilagi and Brad Shields both scoring braces. 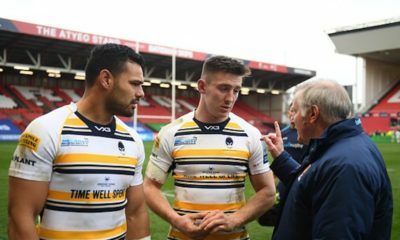 Jonny May scored his fifth try of the competition, and was joined on the scoresheet by Jamie George, Dan Robson and George Kruis. Relive the best of the action as England beat Italy 57-14 in the #GuinnessSixNations ? 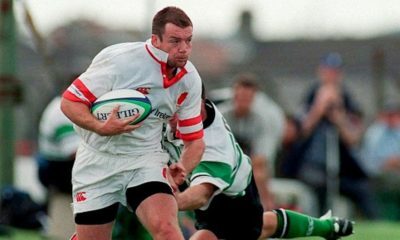 With Wales’ victory over Ireland earlier in the day eliminating the prospect of England catching Gatland’s side, it seemed the Calcutta Cup match would be a forgotten game in the Six Nation archives. England flew out the blocks, scoring 30 points in as many minutes, looking to give Twickenham with something to cheer about despite the earlier result. A fancy pass from Slade sending May over for his 6th try of the competition was the pick of five first half tries, as England set about proving the Wales result as an anomaly among their other brilliant attacking performances. Their display over the next 40 minutes did nothing to prove that however. Scotland ran in six unanswered tries, with Sam Johnson scoring five minutes from time to complete an astonishing comeback. With Scotland now leading 38-31, an England side playing to save themselves from embarrassment managed to reach the Scottish five-metre line. 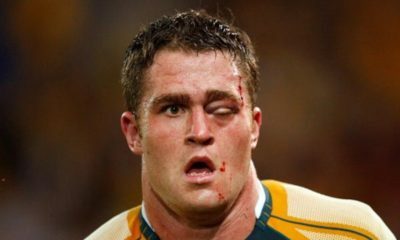 Ford received the ball midfield, then threw a dummy to send himself under the posts, and send Twickenham into relieved pandemonium. Eddie Jones heavily criticised his player’s mentality following the Wales defeat, as well as after the draw with Scotland in the final round of the Six Nations. In both games, England were leading comfortably at half time – more so in the Scotland game admittedly – and ended up giving up their advantage before the end of the match. He revealed that he would seek expert help before the World Cup, to help tackle his sides mental weakness in big games. Jones said: “Well, it’s a combination of personnel, but I’ve got one person that’s going to help us that’s a bit of an expert. I’m not sharing that name with you now. I haven’t used her before. 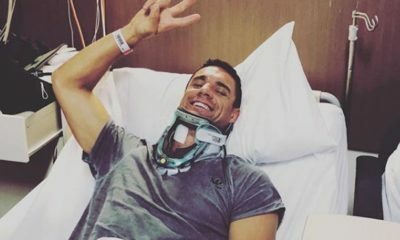 "I'd rather have these sort of problems now than at the World Cup"
The Australian reiterated that this wasn’t a freak occurrence, and is something that has prevented his side from reaching elite status for some time. “It is a recurring thing. It is not a one off,” Jones told BBC Radio 5 Live. The best moment of England’s campaign would obviously come before the Wales defeat, as everything since that loss seemed slightly hollow. 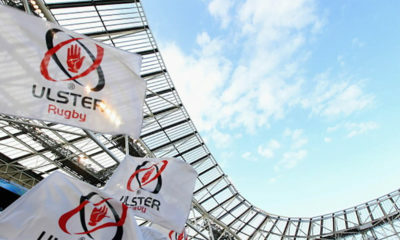 Slade’s two scores in Dublin encapsulated English fans reason to be optimistic – they demonstrated a confidence and excitement to Jones’ side. It also showed that England could compete with – and beat – the very best. The first came from a scrum on halfway, with Ben Youngs slinging the ball to the right wing, where Jonny May found space and kicked forward. Slade, on exactly the same wavelength, ran onto the loose ball to score and put England 12 points clear of the reigning champions with 15 minutes to go. The second, scored with five minutes left to play, allowed England to properly celebrate. It was the icing on the cake. Slade picked off a pass from World Player of the Year, Johnny Sexton, and kept hold of the ball superbly to score England’s fourth and final try. We've crunched the numbers and present to you the FANTASY RUGBY Team of the Championship! Honorable mention: George Ford try vs Scotland. 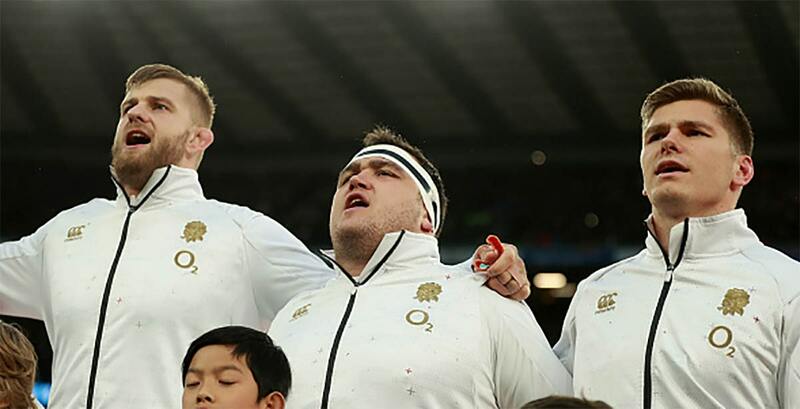 Was a terrific moment of relief for English support after an astonishing game of rugby, but England should never have been in the position in the first place. There was also nothing left to play for other than pride (and the Calcutta Cup). When Josh Adams rose above Elliot Daly to claim Dan Biggar’s pinpoint cross-field kick, it epitomised the game itself. Wales simply rose to the occasion – most notably in the second half – and England, like Daly, didn’t. 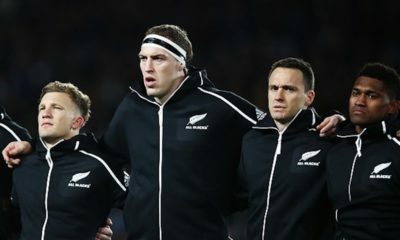 Not only did it end England’s Grand Slam hopes, it provided the Welsh with a springboard to go on and win the title, as well as handing them a record 12th consecutive Test win. It was the final nail in the coffin on a hugely disappointing day for English rugby. If you think Josh Adams was the Player of the Championship it's time for you to vote! Honorable mention: Sam Johnson try to make it 38-31 to Scotland with five minutes to go. Had Ford not scored in overtime, this would be unquestionably the worst moment of the campaign – nothing could be more sickening for England than throwing away a 31-point lead, against Scotland of all teams. It easy to forget this man is just 20 years of age. 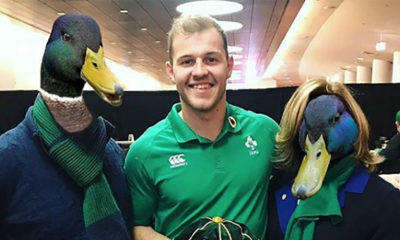 His sin-bin against Ireland perhaps highlighted his over-eagerness, but he will only learn from mistakes such as this. 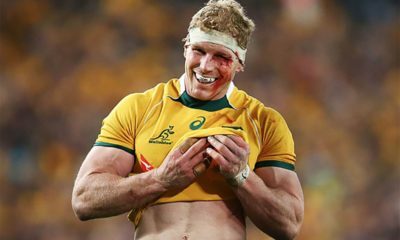 Just watching the workload the flanker gets through makes you feel tired – he made a staggering 86 tackles across the five games, more than any other player. Having made 97 tackles – the most of any player – is Tom Curry your Player of the Championship? 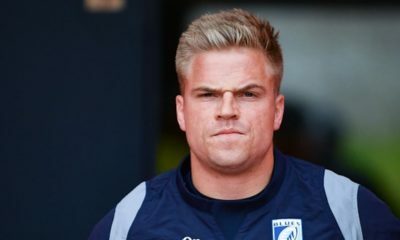 In addition, the Sale Sharks man managed five turnovers across the course of the campaign, which is no mean feat at international level. His try against Wales also showed an intelligent side to his game that not many players his age possess. Honorable mention: Henry Slade. 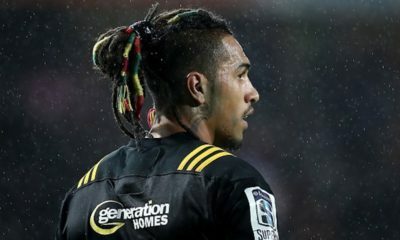 Re-earned his place in the squad after impressing in the Autumn internationals, and fully justified his inclusion with some big performances in big games. His brace against Ireland will be one to remember. England look a better side with the Sale man in the team. 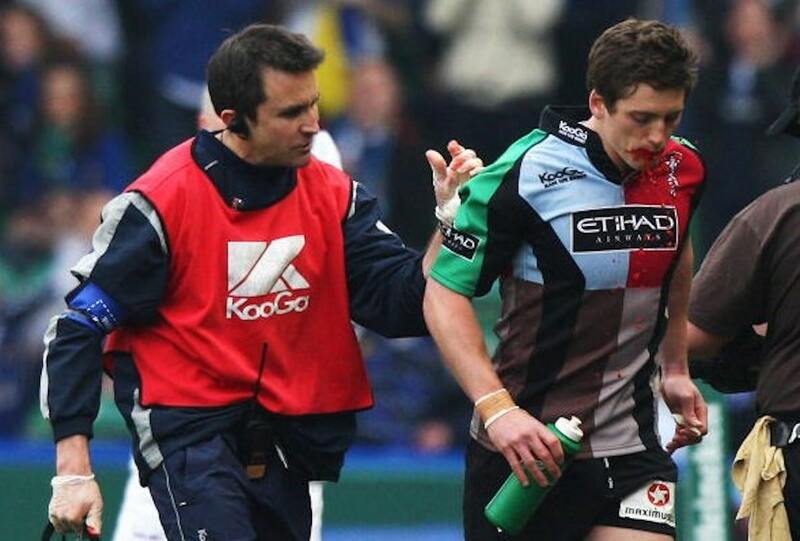 "Tom Curry is only 20, and will only get better!" "Josh Adams is the find of the Six Nations!" And a special shout-out for Dan Biggar too ? England will play four Test Matches in the summer, as preparation for the Rugby World Cup in Japan. 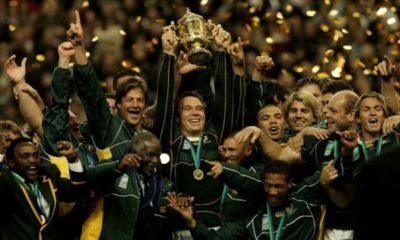 In August, they will play Grand Slam winners Wales home and away, before Ireland visit Twickenham. Then, at the start of September, they will host Italy at St. James’ Park. The World Cup will then kick off mid-September. England have been drawn in pool C, along with France, USA, Argentina and Tonga. Their first match will be against Tonga on September 22nd at the Sapporo Dome.